After the nostalgic success that was Féile Classical, the Trip to Tipp is back next year and this time it will be for a whole weekend. 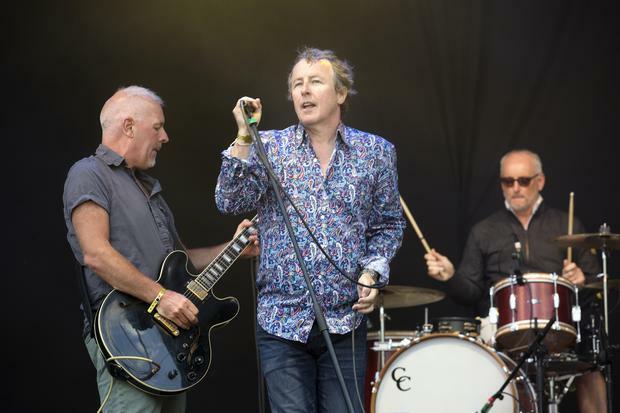 Broadcaster and frontman of Something Happens Tom Dunne was behind the Féile revival in Semple Stadium in Thurles last September. He said that due to the demand of fans, it will be returning next September and will be a two-day festival. "I was humbled to have been part of something so special as what took place in Thurles, it was remarkable," he said. "When each of the bands got back home to normality, the feeling just stayed with us, we kept in touch swapping stories and having the craic about who's set was the best, the energy was still with us, the conclusion was that the buzz of the weekend was far too special to be a once off. "The Trip to Tipp is back and it needs to stay, I got in touch with [promoter] CWB.ie and they secured the dates for 2019." Next year's line-up will still have a strong nostalgic feel for '90s fans, with cult band Sultans of Ping performing for the first time in 26 years - although this time with the Irish Chamber Orchestra. Also taking to the stage will be fellow Corkonians The Frank and Walters, whose opening was one of the highlight's of this year's Féile, and Mundy. A full line-up will be announced in the spring. Early-bird Trip to Tipp Weekender tickets are on sale at Eventbrite, costing €139.50.